It’s Monday! 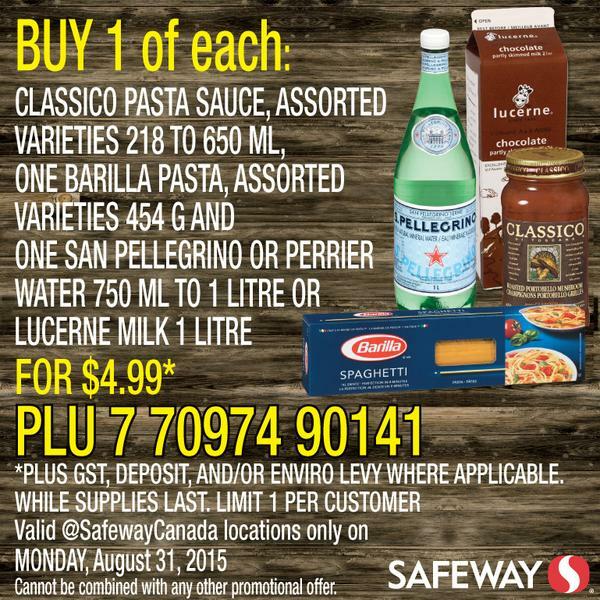 Time for another great deal from Safeway! To redeem, pick up the items as shown exactly in the picture and at checkout you can show the picture on your smartphone. If you don’t have a smartphone you can print the photo out. It’s one deal per customer, and each one has to have their own copy of the deal. For $5 you get pasta, sauce and then a choice of either a 1L milk or sparkling water. « Cineplex Tuesday everyday event!